Carolina Energy (yellow) play the Atlanta Havoc 45-41. The season is over for Charlotte's startup indoor football team, the Carolina Energy. On Saturday, they lost a playoff game to the league-leading Richmond Roughriders, 57-43, in Richmond. The Energy finished with a winning record, and all-in-all it was a good first season on the field, with struggles off it, said owner-coach Ervin Bryson. "It turned out better than I imagined it could have," Bryson said Wednesday, "Because of the fact that, you know, we didn't get a chance to build our type of team like we normally would do because it takes almost a whole year to build a team too." 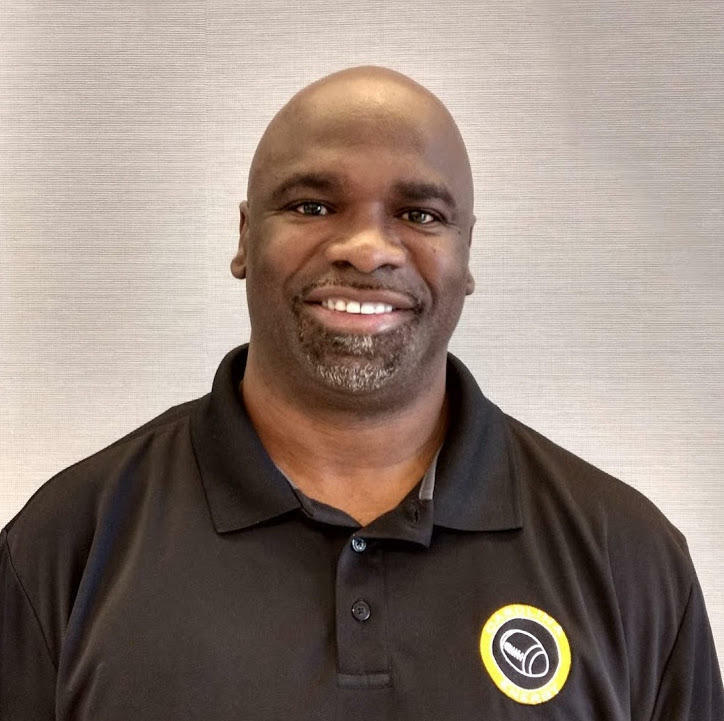 Bryson is a longtime arena football coach who formed the Energy in January. They started the season in March, and finished up with 7 wins and 3 losses in the regular season overall. They finished 5-3 in the American Arena League. In Saturday's playoff, they faced the more experienced Roughriders. They quickly fell behind, 22-0, then came back to tie by halftime. The two teams traded leads until the Roughriders scored twice in the closing minutes. The Roughriders won the championship a year ago in a predecessor of the newly formed American Arena League. Unlike the Energy, they had a roster full of veterans, including ex-NFL players like former Carolina Panther Greg Hardy and former New Orleans Saint Robert Meacham. Making it this far was a measure of success, Bryson said. "We were really hot towards the end of the season and we felt like we was in a position to win with the talent we had," he said. The team was led by former Old Dominion quarterback David Washington, who Bryson thinks should be a candidate for the American Arena League's Most Valuable Player. Off the field was a slightly different story. Remember, this is basically a startup company. Bryson said the team struggled with marketing and sponsorships, and didn't make any money. "We didn't get a chance to get out into the city and market and advertise ... because we announced the team in January and we started playing in March," he said. "So we didn't really get the team out there. But through social media, we were able to get a few fans there and those fans became our mouthpiece." Crowds were sparse - numbering only in the hundreds at the five home games at Bojangles Coliseum in Charlotte. But the crowds were committed. Nathan Ryan of Pineville was at all the games, including the final one - a win over the Atlanta Havoc on June 6. "It's been great," Ryan said. "It's really fast, super fast high-scoring. A lot of hard hits because it's such a compressed field. No sideline. It's fun." It's definitely high scoring - the Energy beat the Peach State Cats in one game by 108 to 25. Teams are eight men, instead of the 11 that make up teams in the NFL. Arena football is played on a narrow, 50-yard field that fits inside the boards of a hockey rink. With lots of lessons learned, Bryson is now working to bring the Energy back for a second season. He's getting an earlier start selling sponsorships and hopes the team will make money - and bring in more fans - in 2019. "We're in good shape now because we have people that are interested in 2019, because they say OK we've seen the product, it works," Bryson said. "I want to grow with these guys." Meanwhile, Bryson and his players will be watching as the Richmond Roughriders play for a second straight arena championship, facing the Atlanta Havoc June 30 in Richmond. 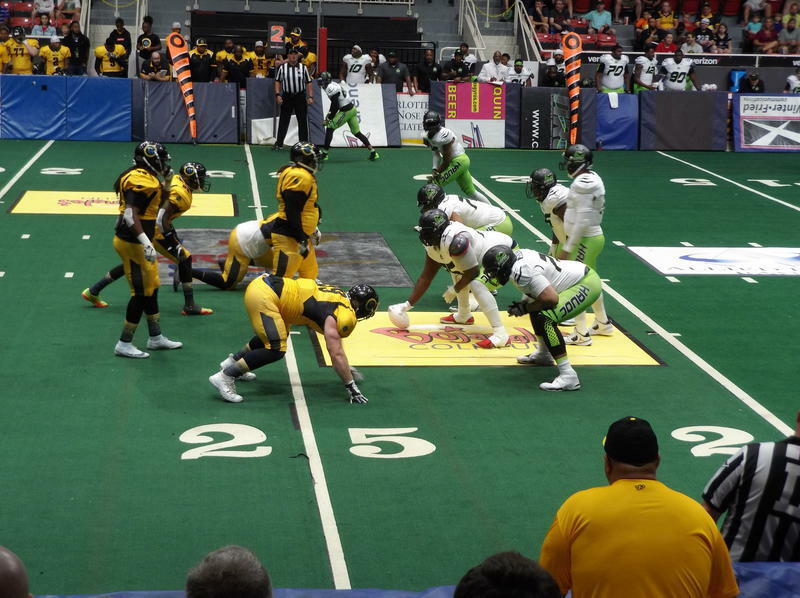 The Carolina Energy, Charlotte’s professional indoor football team, beat the league-leading Atlanta Havoc 45-41 Saturday night at Bojangles’ Coliseum. Charlotte's new arena football team, the Carolina Energy, won their first-ever game over the weekend. The Energy beat the Triangle Torch 64-25 on Saturday at Bojangles Coliseum. Charlotte now has another professional football team - but it's unlike anything you'd see in the NFL. 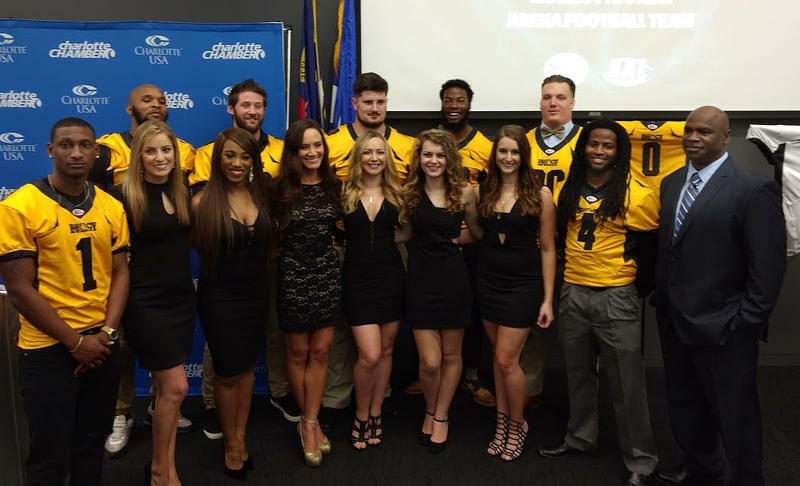 The Carolina Energy will begin play next month indoors, in the newly formed American Arena League.